Kool Space Science Productions merges several different interests of the founders, Carmelita Miranda and Charles Morris. These include astronomy, astrophotography, videography, public lecturing, and scientific education. We hope to expand the interest in astronomy and space science through our videos, lectures and star shows. Born in San Francisco, California a number of years ago, she has had a number of life adventures that lead her to astronomy. After having graduated with a BA in Education from San Francisco State University, she got a teaching job at Los Medanos Community in Pittsburg, Ca. While teaching at Los Medanos Community College she found her hobby in sailing. Learning, from the best, competitive racing on San Francisco Bay. She had sailed competitively on many types of sailboats from Columbia 24�s to a Swede 55. She belonged to Berkeley Yacht Club from 1975-1982. She was asked to be a member of the race committee for the first San Francisco to Kauai Yacht Race in 1980. My station was the finish line underneath the lighthouse at Nawiliwili Harbor on Kauai. To make a long sailing story short, she came back to Cal. after the race to Kauai and was "inspired" to buy a sailboat (a Newport 30) and sail to Kauai to start a sailboat charter business. What does this have to do with astronomy? She took her first formal class on astronomy so she would know what is up in the sky during the night watches sailing from San Francisco to Kauai, Hawaii. She sailed to Kauai and set up her sailboat charter business in May, 1981. Then came Hurricane Iwa in Nov. 1982 and she lost her boat and business to the hurricane. She dabbled as a retail department manager for awhile at Liberty House but found a more fun job working for Radio Station KUAI/720. She started working part time on the air in 1984. She took the full a full time position as account executive for KUAI in 1986. In 1991, there was going to a total solar eclipse. Only a little part of Maui and the Big Island were going to be in the path of totality. Kauai only got 98%. While working forKUAI, she organized a live broadcast the morning of the eclipse at the Kauai Resort. It was about that time that Tom Poff contacted Carmelita about joining the Kauai Educational Association for Science and Astronomy (KEASA, kay-saw for short). 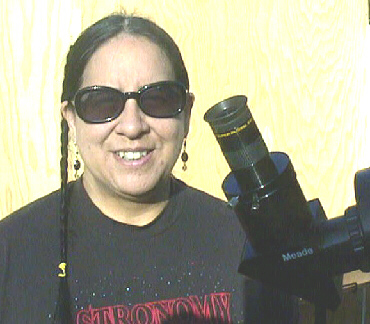 She was able to get club members to bring telescopes and other equipment to the eclipse site. About two thousand people lined the grounds of the Kauai Resort and Lydgate Park to watch the eclipse. Even though we didn�t get totality, we did see it on the monitors hooked up at the Big Island and we all had an enjoyable astronomical event. After the eclipse she became heavily involved with KEASA. She was the President of the club from 1991-1996. The KEASA Observatory is located at the Pacific Missile Range Facility (PMRF) at Barking Sands 6 miles west of Kekaha. In Sept. 1992 Hurricane Iniki hit Kauai. It was my second experience in a hurricane. Hurricane Iniki blew the just finished rolling roof under the permanent roof leaving it hanging half way to the ground. The next couple of years were spent rebuilding the observatory. She had, by this time, started her astrophotography interests by taking pictures of Perseid Meteors. Then came Comet Hyakutake (the comet that changed her life) in 1996. She had been writing articles for "This Week Magazine" and "The Garden Island" newspaper. She found a web site on comet observing and made (first) contact with Charles Morris. 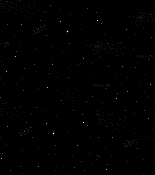 She asked him permission to print the Sky Chart for Comet Hyakutake in the Garden Island. The rest, as they say, is history. that look down at the Earth. These include TOPEX/Poseidon (launched 1992), which measures sea level, NSCAT (launched 1996), which measured winds over the ocean, and most recently, the Shuttle Radar Topography Mission (SRTM), which flew on the shuttle in February 2000. He also authors the well-known Comet Observation Home Page. Charles became an avid visual observer of comets having recorded more than 250 comet apparitions. His observations were more than just looking at the comets. He measured the comet's brightness, size and tail characteristics. In 1985, he (and Steve Edberg) became the first people to see Comet Halley with the naked eye since 1910. While not of scientific importance, this observation did spark a lot of media interest. From a science perspective, Comet Halley's apparition in 1886 was very important. Charles observed Halley's on over 180 nights over a two year period. [This included observations from three continents and four airplanes. There was a lot of lost sleep and an extra 10,000 miles put on his car!] He also ran the Real-Time Observation Network, made up of visual observers around the world, for the International Halley Watch, which helped keep the professional community up-to-date on Comet Halley. [You have to remember that this was before the internet!] Both during and after the apparition, Charles analyzed Halley's light curve, the comet's brightness as a function of time, and wrote several papers on the subject. Over the years, he has analyzed the light curves of many comets including several that have been the target of various spacecraft. Charles has written more than 70 scientific papers including papers published in the Astrophysical Journal, Astronomical Journal, and Publications of the Society of the Pacific and the books The Study of Comets (1976) and Comets (1981). 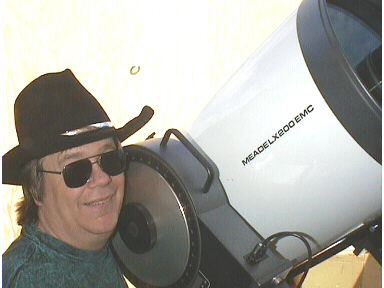 He has also written for Astronomy magazine and Sky and Telescope magazine. Since 1978, Charles has been the Associated Editor of the International Comet Quarterly, a journal that serves as an archive of comet brightness data. Although most of his scientific work has focused on comets, Charles has also published papers on fast rotating stars, tornadoes, and remote sensing from space. In 1988, Charles received the Western Amateur Astronomers' Barnard Award for his comet observing. In addition, asteroid 3783 was named "Morris" in honor of his comet observing and research. [In 2001, asteroid 3783 comes to an almost perfect opposition...that is, almost exactly 180 degrees from the Sun. This is of no particular importance, but it is extremely rare.] Charles is a member of International Astronomical Union, the American Astronomical Society, the American Geophysical Union and the American Association of Variable Star Observers.